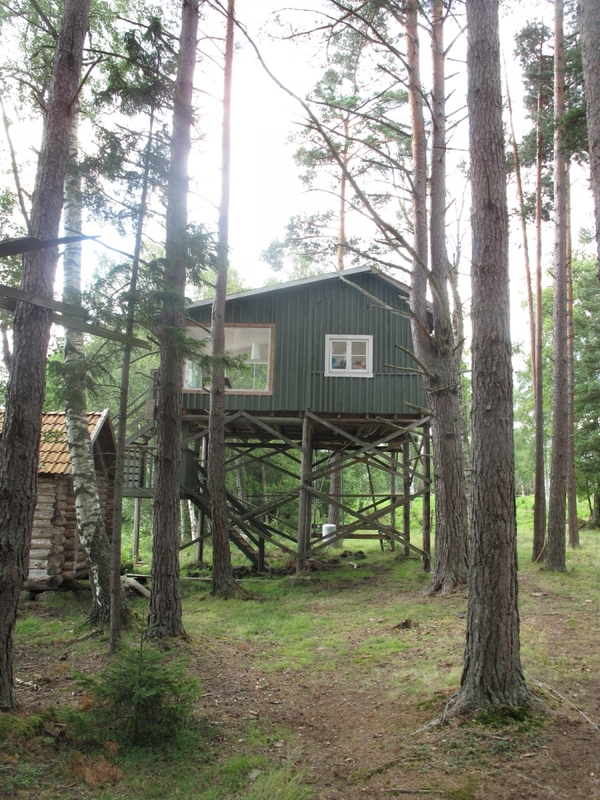 A unique Self Catering Cottage situated 4 m above the ground, directly by the lake Stora Sundsjön. KatarinaRo fits well for two people who want an incredible natural experience in the middle of Norrby Manor’s quiet forests. KatarinaRo is surrounded by a terrace. Just below the stairs there is a dock that belongs to the house with a sauna. There is a rowboat for fishing and excursions on the lake. Price per week / Changeover day: Saturday. Period: A = w26 – w35 / B = w13 – w14 & w23 – w25 / C = w16 – w22 & w36 – w43. Bed linnen and towels: 150 SEK/person. Cleaning: 500 – 900 SEK depending on the house.